To use any callas product on a computer, you need to activate it first. This is true if you have bought a license key but also if you want to run the trial software. 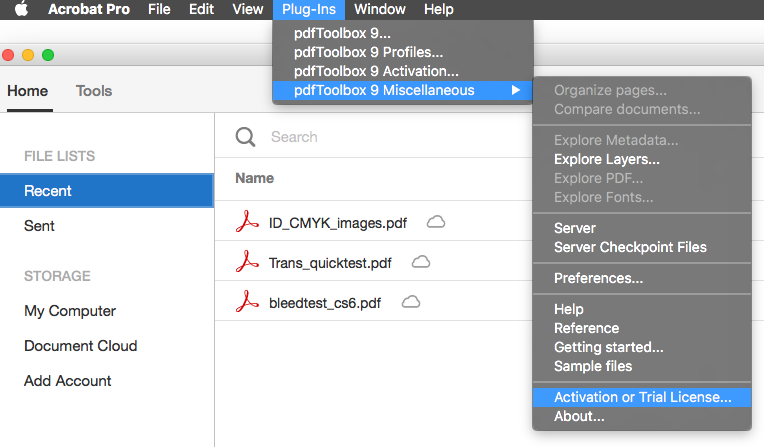 This article explains how the normal activation procedure for pdfToolbox Desktop and DeviceLink Add-on Desktop works and which steps you have to go through. Launch the application. You will see the main window with a blue bar at the top. If you have bought a license for callas pdfToolbox Desktop, click on the "Activate full version" button; you will need a valid license key. You'll need to fill out the window in step 2. If you simply want to try the product, click on "Activate trial version". You'll need to fill out the window in step 3. The activation window appears. Here you have to fill out your name, company, email address and a valid license key. The email address is important because it will allow you to receive the activation file. When you have filled out your details, click the "Next" button. You then see the following dialog window. You can check what information is sent to callas by clicking the “Details” button. You can also use the “Details” button to get the activation information and manually send it to the callas activation server. The information displayed contains instructions on what you need to do in that case. Only the complete text block with beginning "@@" is needed but its also possible to send the full text from the dialog. After submitting your details, it will typically take only a few minutes to receive an email from callas software. If no response is received or in the event of an error, please contact support@callassoftware.com to determine the exact cause. The Activation.pdf (or the content of the e-mail) can only be used for activation for 48 hours. After this timeframe, a new Activation.pdf has to be requested from the activation server. The email will have an Activation.pdf attached. Simply drag-and-drop this attachment on top of the activation window and you'll be all set (dragging-and-dropping is usually safer than trying to copy and paste). After this procedure, your callas pdfToolbox Desktop license will be activated. As the activation (and the resulting license file) is bound to the hardware, it is necessary to deactivate a license on one machine before an activation takes place on a new machine. Go to "Help > About callas pdfToolbox". 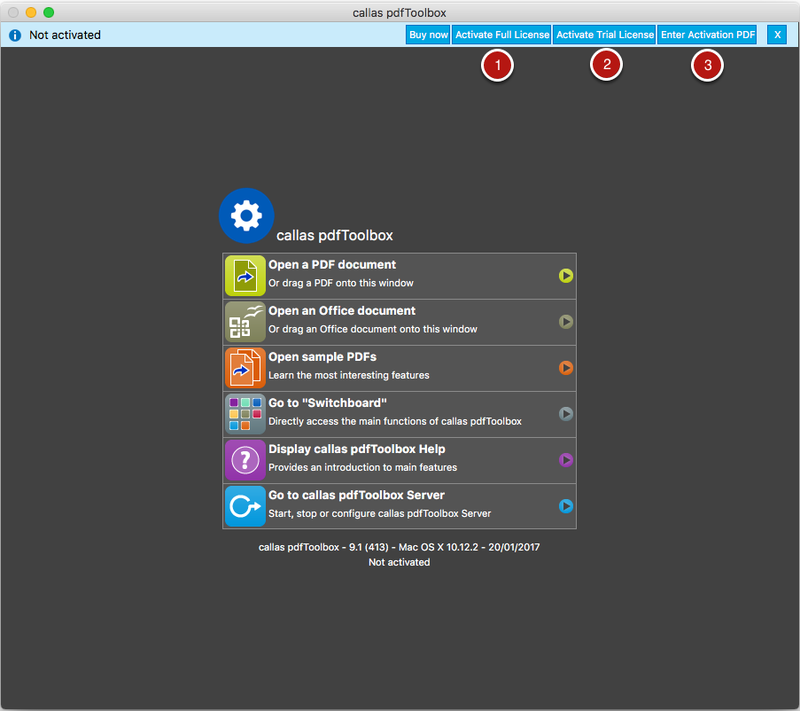 Choose the product "callas pdfToolbox (Desktop)". Fill out your email address. After the procedure, your callas pdfToolbox Desktop license will be deactivated. NOTE: The deactivation procedure is the same for DeviceLink Add-on Desktop (in step 3 you have to select the product "callas DeviceLink Add-on (Desktop)").